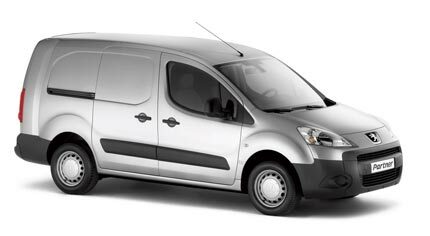 Practical, reliable, and powerful are some of the attributes of a Peugeot Partner van. Available in multiple colours, this van, which is known as Peugeot Ranch in Italy, has been around since 1997. It was awarded as the Utility Vehicle of the Year by France’s L’Argus de l’automobile weekly motoring magazine in 2009. Peugeot Partner Van has some of the enviable technical features among its competitors. For instance, state-of-the-art HDi engines (based on Stop & Start technology) are used for fuel efficiency and lower emissions (123 g/km). With usable space of 3m3 and payload capacity of 600/800 kg, you need not worry about the cargo volume. The interior dimensions of 119cmX160cmX114cm, along with roof flap and folding rear doors (that can be opened to 180 degrees) ensure that you can load maximum cargo into this with ample convenience and manoeuvrability. Comfort is the hallmark of Peugeot Partner van with several utility features built-in to provide a relaxed working environment for the passengers. There is a multifunction passenger seat, which can be easily converted into a useful desk to hold laptop, documents, etc. A hidden storage area is also provided underneath the seat. For additional comfort during the ride, mounted remote controls for stereo/radio adjustments are provided on the steering wheel. Additional storage is provided overhead in the LX model. Safety is one thing, which is not ignored by Peugeot while manufacturing Partner van. Driver, passenger and side airbags will prevent your body from extensive damage in case of an accident. Another security feature, i.e., pre-tensioned seatbelts with weblocks hold you tightly, but comfortably. The rear door also features a third brake light to warn the driver behind. One of the best in its category, Peugeot Partner van is among the preferred multi-purpose commercial vans in its category. Got a Peugeot Partner Van to sell?